Heather Galloway is a trusted industry professional, providing Homeowners, Auto, Umbrella insurance and other types of personal insurance in NH. Working in the insurance industry since 1994, she joined the Eaton & Berube team in 1998, where she has gained a reputation for timeliness, accuracy and integrity among her clients. From young couples just starting out, to parents of teenage drivers and owners of multiple homes or recreational vehicles, a wide range of clients rely on Heather for their NH insurance needs. With a B.A. in Communications and a minor in Education from the University of New Hampshire, Heather has the ability to teach her clients about the nuances of insurance as well as clearly explain what some people find to be a confusing, yet essential product. Since becoming a licensed insurance agent in 1995, Heather has continued to take courses, updating her certifications and skills. 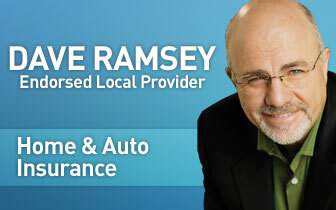 Heather is also the only Dave Ramsey Endorsed Local Provider (Dave Ramsey ELP) for home and auto insurance in New Hampshire. A Merrimack, NH resident, Heather lives with her husband, Jonathan and enjoys hiking, bowling, reading and watching movies in her free time.